HomeOpinionCommentaryCongress Certifies Trump. Growing 1000s Say NO! 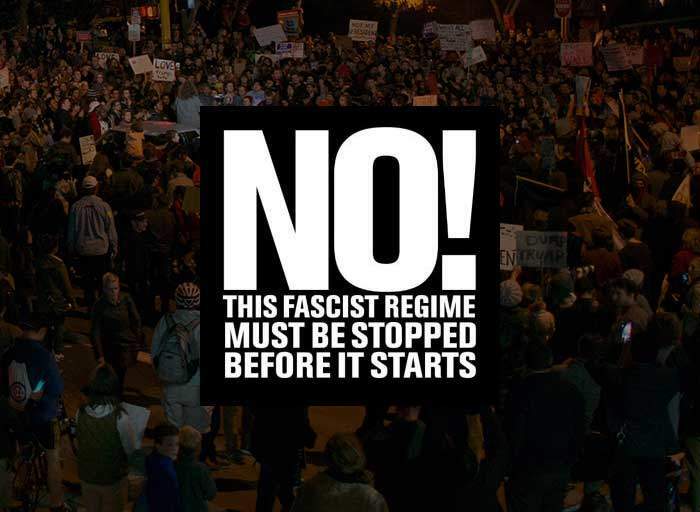 Vow To STOP Trump/Pence Fascist Regime Before It Starts! Growing numbers of prominent voices, including Cornel West, Alice Walker, Rosie O’Donnell, Ed Asner and many others, along with thousands of signers, called for millions to take the streets in political protest and resistance to prevent what they argue is a fascist regime from taking power in a full-page signed ad in the New York Times on Wednesday. “Stop the Trump/Pence Regime Before It Starts!” it states. Prominent scientists, actors, musicians, intellectuals, activists, religious leaders, and over 3,000 others, have called for massive protests and resistance to “Stop the Trump/Pence Regime Before It Starts!” in a full-page signed ad on January 4 in the New York Times.